Harry A. Ironside (1876-1951) was the son of John and Sophia (Stafford) Ironside of Toronto, who were involved in the Plymouth Brethren. He had a strong interest in the Bible throughout his life. He was involved with the Salvation Army as a youth, and moved from that denomination to one of the sects of the Plymouth Brethren, known as open Brethren, and later he joined the closed Brethren, also known as the “Grant” section, or “Exclusive Brethren.” He was the author of A Historical Sketch of the Brethren Movement. His prophetic writings and commentaries promoted the interpretations and doctrines of John N. Darby and Dispensationalism. Through his preaching and books, Ironside had a considerable influence beyond the Brethren movement, and became the minister at the Moody Church, in Chicago, associated with the Moody Bible Institute. In 1930 Ironside was presented with an honorary Doctorate of Letters degree from Wheaton College. 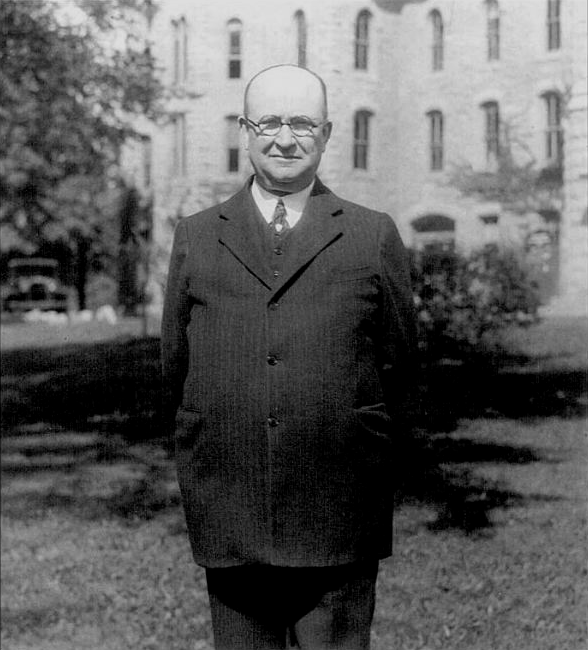 Ironside was appointed to the board at Wheaton College, and was also on the board of Bob Jones University. Ironside was the author of a scathing condemnation of Ultra-dispensationalism: Wrongly Dividing the Word of Truth, Ultra-dispensationalism examined in the light of holy Scripture. The present faculty of Wheaton includes names of prominent critics of Christian Zionism and Dispensationalism. Many of the interpretations of prophecy that Ironside believed have been set aside, and abandoned at Wheaton and even at Dallas Theological Seminary. Ironically, some of Ironside’s teachings are now actively opposed by professors at the College where he was once honored — are the tares sown among the wheat being gathered up and burned? In reality they are regressive dispensationalists and they are throughly confused. You are so correct. The only format with which to understand the plan and program of God is inside Dispensationalism. Without it confusion reigns and promises are misappropriated. The scriptures are wrested to their own destruction, the Apostle Peter warned. Dispensationalism teaches that ethnic Jews are preferred above people of other races, but history and recent events show they are not. Hurricane Sandy smashed Jewish-owned boats and homes in the NY area, as much as it affected the property owned by people of other beliefs and ethnic origins. The Jews living in the NY area were no different to the people living in New Orleans when it was devastated by Katrina. “For thou art an holy people unto the LORD thy God: the LORD thy God hath chosen thee to be A SPECIAL PEOPLE UNTO HIMSELF, ABOVE ALL PEOPLE that are upon the face of the earth” (Deut.7:6). “The oath which He swore to our Father, Abraham, that He would grant unto us that we, being delivered out of the hand of our enemies, might serve Him without fear, in holiness and righteousness before Him, all the days of our lives” (Lk.1:73-75). “Ye are my witnesses, saith the LORD, and my servant whom I have chosen: that ye may know and believe me, and understand that I am he: before me there was no God formed, neither shall there be after me. I, even I, am the LORD; and beside me there is no saviour. I have declared, and have saved, and I have shewed, when there was no strange god among you: therefore ye are my witnesses, saith the LORD, that I am God” (Isa.43:10-12). You are right that outside of a dispensational understanding of the Bible confusion reigns supreme. In fact, we can even see that there are those who reject dispensationalism who would even say that since the children of Israel were in some way preferred over other races then that is racism. They fail to understand that the Jews were given a “stewardship” (dispensation) to serve God and that is what made them special in earlier times and it has nothing to do with racism. These people seem to place their political correctness above what the Bible actually teaches. The sad thing is that they would rather remain in their ignorance about dispensationalism and continue to make unfounded accusations against dispensationalists. Reblogged this on Apostolic Book.